Web Development, ASP.Net Development, PHP, Wordpress, Joomla, Magento, Core PHP | Web Expanders - Professional Web & Software Development Company,Rajkot,Gujarat,India. 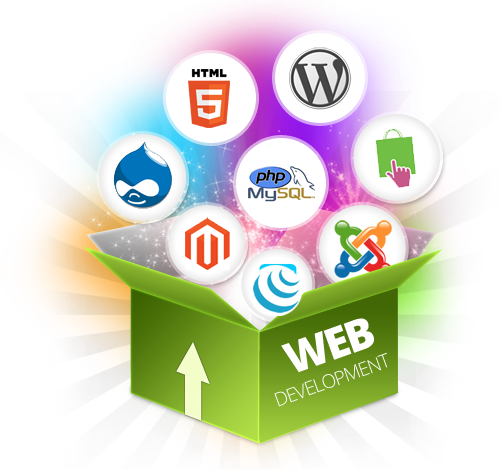 Web application development is one of our core competencies. We have expertise on different web technologies like Microsoft .NET & PHP.Our team members are highly proficient in design and development of web applications using most modern content management system frameworks including Joomla, Magento, Wordpress, Drupal, Cakephp, Zencart And E-Commerce, we are able to implement almost any functional requirement for your Website.Today, in contrast, there are endless Web applications that can be developed; thanks to the scripting technologies and databases available for use.Our team is capable of handling all aspects of web development, including end-to-end security, integration with online payment gateways, order processing, content management, database integration and final project testing. ASP.NET is one of the most useful technology for building dynamic web development. Asp.net is a new and innovative architecture to develop a wide variety of applications including windows applications, web applications, web services, mobile and PDA applications and many more..
ASP.NET web development is one of the primary focus areas at Web Expanders. We deliver custom .NET development as well as customize/integrate third-party solutions. We have experience/expertise on latest .NET Framework enhancements (including .NET Framework 3.5) apart from technologies and tools such as ASP.NET, AJAX, R.A.D, Infragistics and other controls that enable development of modern rich internet applications (RIAs). PHP is one of the most commonly used technology in web development. Opensource is an effective alternative to commercial licensed software for building and running high performance and dynamic PHP web applications. Web Expanders offers expert PHP / MySQL web design and development services for various business needs. Our PHP team has a long track record of customizing LAMP ( Linux / Apache / MySQL / PHP ) Linux-based solution from relatively smaller website development to complex internet application. Best Way To Sell Things. The best way to purchase anything in our time is online.In the recent web development scenario, Unsurprisingly, E-commerce development has assumed enormous importance in the modern day business world. We are an ECommerce Development Company with a being part of globally e-commerced well-built expertise to allow us to show strong competence in both technological and creativity directions,Web Expanders have the expertise at development of dynamic ECommerce B2B portal, B2C portal. Web Expanders is Rajkot, India, based web & software development company. We provide high value software & web solutions to small and medium scale businesses like Retail Industry, Manufacturing, Hotels, Finance, Educational institutions, Healthcare Industry. Live Project Training, IDP, Customized Software Development, Web Development, E-Commerce Websites, Flash Designing, Search Engine Optimization (SEO), Enterprise Resource Planning (ERP), CRM .NET, C#, ASP.NET, PHP, Open Source Development, Wordpress Development, Windows Development, Android Development, iPhone Development, Rajkot, Saurashtra, Gujarat, India based Website & Software Company. Copyright Â© 2014 - 2018 Web Expanders. All rights reserved.